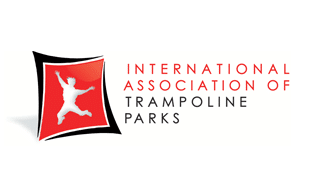 Thank you for your interest in having a Fundraisers at the Rockin’ Jump San Dimas indoor trampoline park. FUNDRAISERS ARE AVAILABLE MONDAY, TUESDAY & THURSDAY FROM 4PM-8PM. Thank you for your interest in having a Fundraiser at the ROCKIN’ JUMP San Dimas indoor trampoline park. FUNDRAISERS ARE AVAILABLE MONDAY, TUESDAY & THURSDAY. Rockin’ Jump offers your group $25 for ALL DAY JUMP when your group name is mentioned at check in. Our Rockin’ staff keeps track of all patrons that mention your group. At the end of the event your jumpers are tallied and for each one, we give $5 back to your group. To maintain a safe and clean environment, participants must jump in our reusable ROCKIN’ SOCKS for $3.00. For safety reasons outside socks are not allowed within the Rockin’ Jump San Dimas indoor trampoline park. Please note: Every jumper requires a waiver signed!